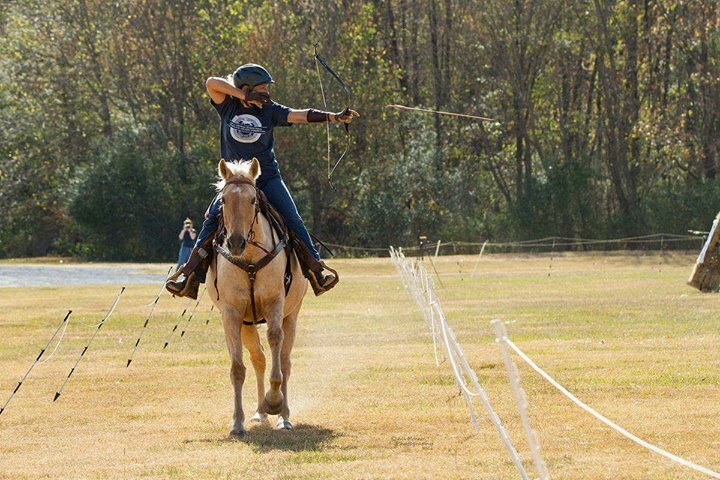 Board Members – Chattahoochee Horse Archers, Inc.
Elizabeth Tinnan is a professional Horseback Archer with over 100 clinics taught across the United States. 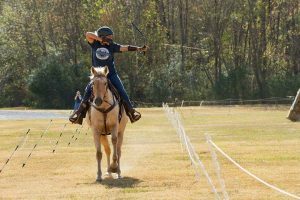 Elizabeth passionately spreads the sport of Mounted Archery throughout the United States by teaching clinics and helping to start new clubs. She has the ability to engage students at every level, helping them improve both their horsemanship & their archery technique. Her enthusiasm is contagious, reviews of her clinics are excellent and her students are hooked! *The ability to communicate with and adapt to each student’s learning style and needs. *Horse training and desensitization with over 10 years of experience prior to her involvement with mounted archery. She acknowledges that every horse is as individual as its rider and has different techniques for introducing and training your horse to accept the bow and become a willing mounted archery partner. You will learn not only to HAVE FUN but to approach the sport with incremental goals and a sense of adventure. Elizabeth instills a strong foundation and confidence in her students that serve them for years. Whether your goal is recreational or competitive she will break down the sport in steps you can manage, remember & practice on your own. She has a passion for helping others succeed, so you and your horse are in good hands. 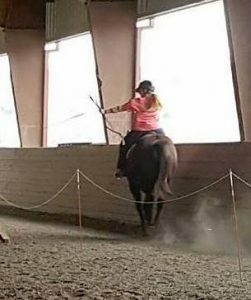 Hope is relatively new to the sport, having attended her first mounted archery clinic in April 2016. 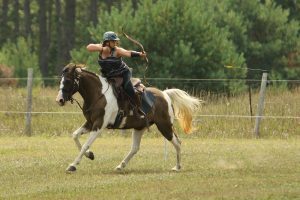 That didn’t stop her from taking home FIRST place in the Intermediate Division at the 2016 Georgia Horseback Archery Competition, just over 6 months later. Her “help anyway I can” attitude has been invaluable to moving the club forward with its goals. She has taken over the role of scheduling and managing our clinic schedule in North Georgia. Hope is an unmatched asset to our club and the growth of mounted archery in our region of the Untied States. Kimberly has also just recently been bitten by the Mounted Archery bug; and she’s hooked! She has joined the team to help “spread the good word” about our sport. Kimberly has already become a great ambassador for us by creating an outstanding newsletter and we hope she continues to help Mounted Archery grow in our region through her dedication and creativity.